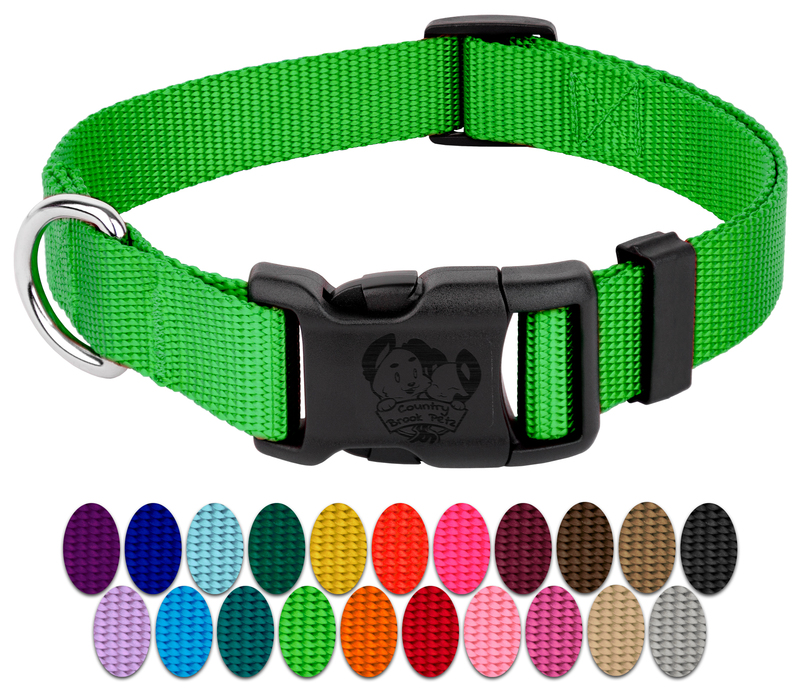 Personalize your pup with 22 rich, fashionable, colors and a durable plastic buckle. The classic style of this collar looks cute on boy and girl dogs. Made in the U.S.A. with durable, industry leading hardware for superior strength. Colorfast dye means this collar won't fade or run when wet. Not for tie out. Silky soft nylon means your dog will stay comfy. Worn like a hug. This ad is for a single collar, but a matching leash is available in separate ad. Congratulations, you have found descriptions, reviews, prices, and availability for Country Brook Design | Deluxe Nylon Dog Collars-Various Colors & Sizes Available. Our crawler software prepared this page for you while searching for "Dog Collars" and related Pet Supplies products at Walmart. If you have any questions on this product, please give us a call at 734-971-1210 during the hours of 9am - 5pm EST for assistance. Thank you for shopping at Tbook.com, the Internet Department Store!